Enjoy your download! 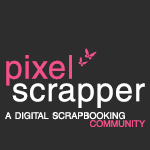 Pixel Scrapper subscibers can download HERE, all others please click the image below to start your download. Your font style is YUMMY! Thanks. Thanks for the fonts they will work perfectly! thanks, my first startup for the digital scrap world 🙂 Hope to receive my version of PSP soon. 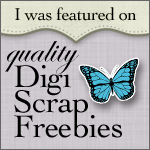 Have fun in the digiscrap world Sandra! I’m sure you’ll love it. Thank you for your awesome YUMMY word art!